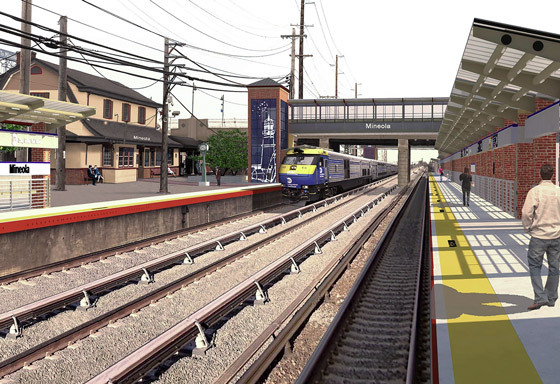 Gannett Fleming was the managing partner that provided preliminary design and developed the final environmental impact study (FEIS) with the goal to increase the capacity of the busiest commuter rail system in the country via planning, architectural, and engineering services. Gannett Fleming completed the environmental impact study in under a year—less than half the time it typically takes to finish a comparable transportation study. Quick delivery of the draft environmental impact study, FEIS, and a corresponding 600-page report proved to be invaluable for overall successful project completion. Gannett Fleming is a global infrastructure and engineering firm that provides progressive solutions for transportation, earth sciences and natural resources, geospatial, water, power, and facilities projects. Founded in 1915, our experience spans 65 countries and thousands of successful projects. Our 2,500 employees deliver excellence in planning, design, technology, and construction management from more than 60 offices around the world. We consistently rank among the industry’s top design firms and embrace sustainability, innovation, and advanced solutions to solve our clients’ complex challenges and improve the communities they serve. We are ISO 9001:2015 Certified, which assures clients that we meet the most rigorous and independently audited quality standards. Gannett Fleming achieved $483 million in revenues in 2018. For more information, visit www.gannettfleming.com.